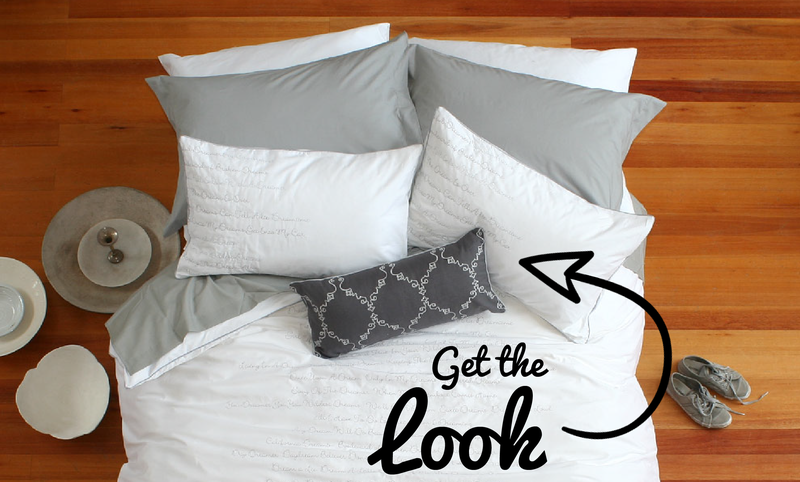 Visit the Sheraton Textiles Online Store to browse and purchase our full range of linen and bedding ranges online, and get it delivered to your doorstep! Free delivery applies for orders over the value of R800. We deliver to your home or workplace throughout South Africa. 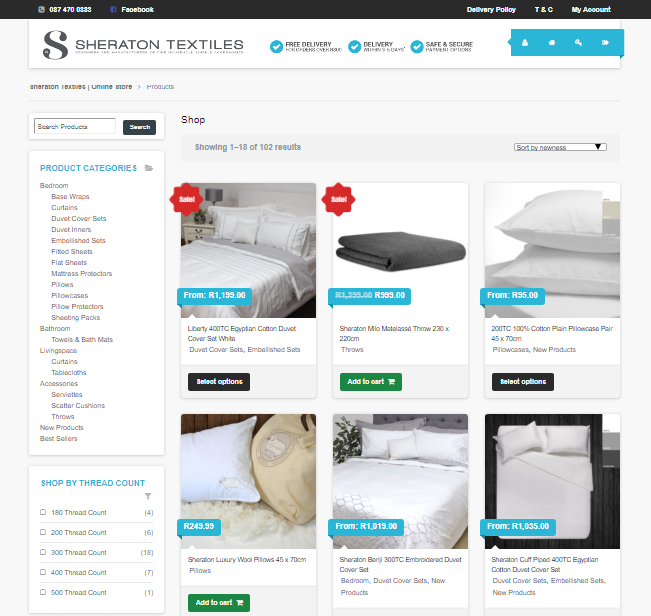 Sheraton Textiles Online is owned and run by Sheraton Textiles Holdings (Pty) Ltd. We are an online store based in Cape Town specializing in luxury bedding and accessories. 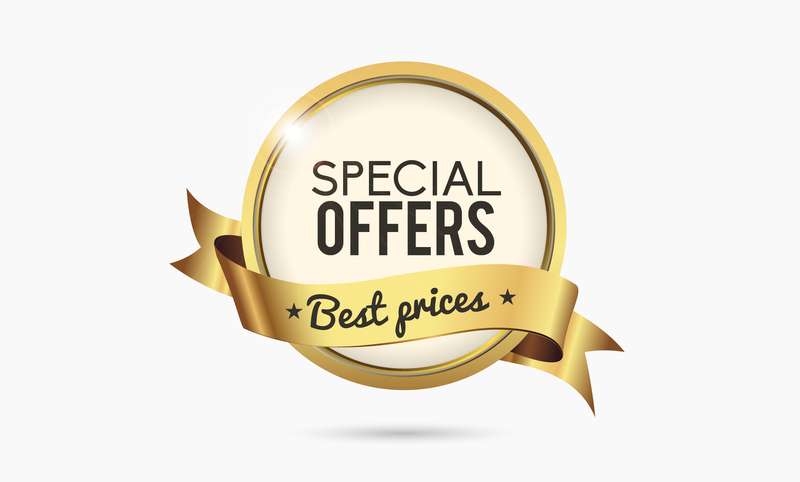 What makes us different from other online linen stores is that we are not only the retailer, we are also the manufacturer – we can offer better service, quality and value than our competitors by being located at the source – direct from the factory to you, no middle man. We supply linen directly to the public through our online store by offering a door-to-door delivery service throughout South Africa. However, if you are a guesthouse, boutique hotel or small retail outlet feel free to Contact the Sheraton Online Store if you are interested in placing a bulk order with us. We are very flexible, and can handle orders of all sizes. Sheraton Textiles is a 99-year-old manufacturer of quality household textiles and linens. Sheraton manufactures many of the household textiles products of the major upper-end retailers in South Africa, as well as bedding for the major hotel and hospitality groups. It is the largest South African manufacturer in this category of household textiles. It specializes in high thread count linens, both of 100% cotton & hotel standard polycotton percale, which it has specially woven to demanding standards. Besides textiles and linen, Sheraton also produces the widest range of “whites” (duvet inners and pillows), containing both natural (feather and down) and synthetic (anti-allergenic) fillers. Sheraton also produces a limited range of high thread count printed and embroidered products in its Signature™ range. Sheraton’s design and development headquarters, as well as one of its two modern manufacturing facilities, is based in Cape Town (The other is based in Pietermaritzburg).